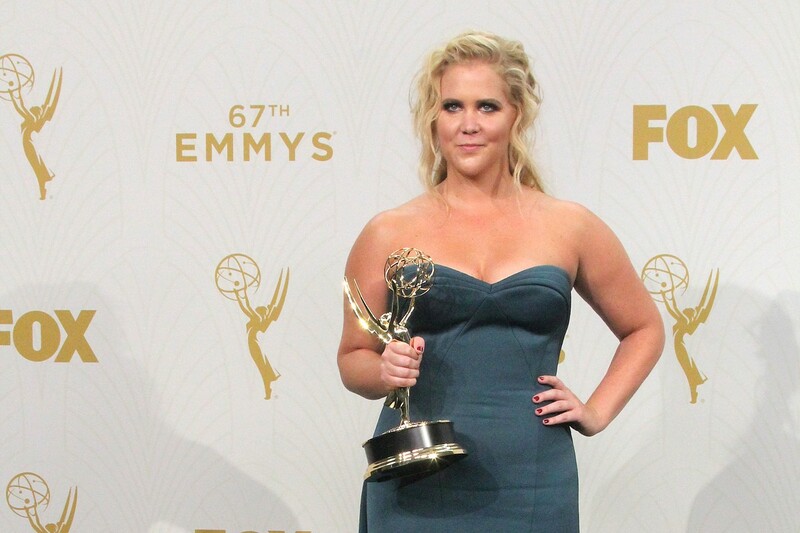 When it came to the September 18 Emmy Awards, the odds were looking good for stand-up comedian Amy Schumer: the nominations, announced in July, recognized Schumer’s work as both an actress and a writer for her show Inside Amy Schumer; writing for the variety special Amy Schumer: Live at the Apollo; and a guest actress role on Saturday Night Live. Although she didn’t win any Emmys this year, Schumer received six nominations, the most nominations of any actor in 2016. Schumer’s book of essays, The Girl With the Lower Back Tattoo (Gallery Books, 2016), draws from that dark period. In the book, Schumer explains how she came home from school one day to find her mom, Sandra, in tears. Sandra explained that she was leaving Schumer’s father, that she was in love with someone else, and that the someone else was Lou, the married father of Schumer’s best friend. Schumer was blindsided; she and her mom had been very close, and the revelation has since caused some strain. But if the mother-daughter bond has sustained some damage, it hasn’t been because of Schumer’s book. According to Buzzlie, before publication, Schumer gave Sandra a preview of the essay described above and permission to cut it from the book altogether. But Sandra made only a basic correction to one sentence (about Hebrew school) and left the rest as it had been written. “We love each other and I’m really grateful to her and for her, but we’ll never be how we were,” Schumer recently told USA Today.